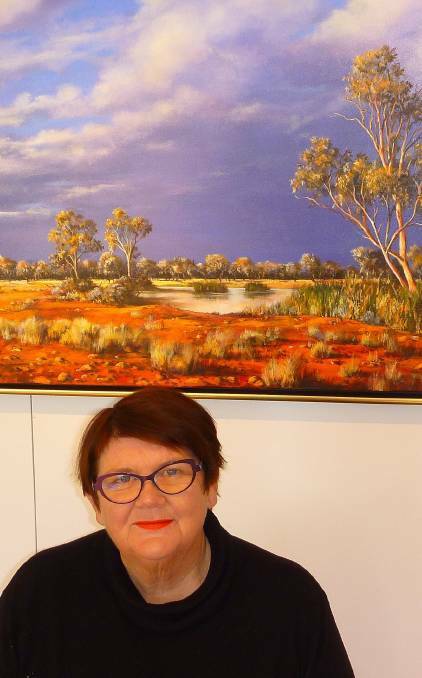 The arid landscape of outback Queensland has been inspiration for artist Lyn Barnes since she began painting over eighteen years ago. Her work is recognised for its vivid depiction of not only the intense blue skies and red earth of her home, but also of the people of the area that is sometimes referred to as Heartbreak Corner. Since opening her first gallery in Quilpie twelve years ago, Lyn’s work has become popular with outback travellers as they collect her pictures to remind them of their experiences. Successful annual exhibitions in Brisbane have proved to Lyn that Australians who live in cities still have a love of outback landscapes and lifestyle. The paintings Lyn produces in her studio in at Eagle Gallery in Quilpie are held in both private and corporate collections throughout Australia and overseas. She is regularly engaged by art groups in Roma, Charleville, Quilpie & Yowah as a pastel tutor.